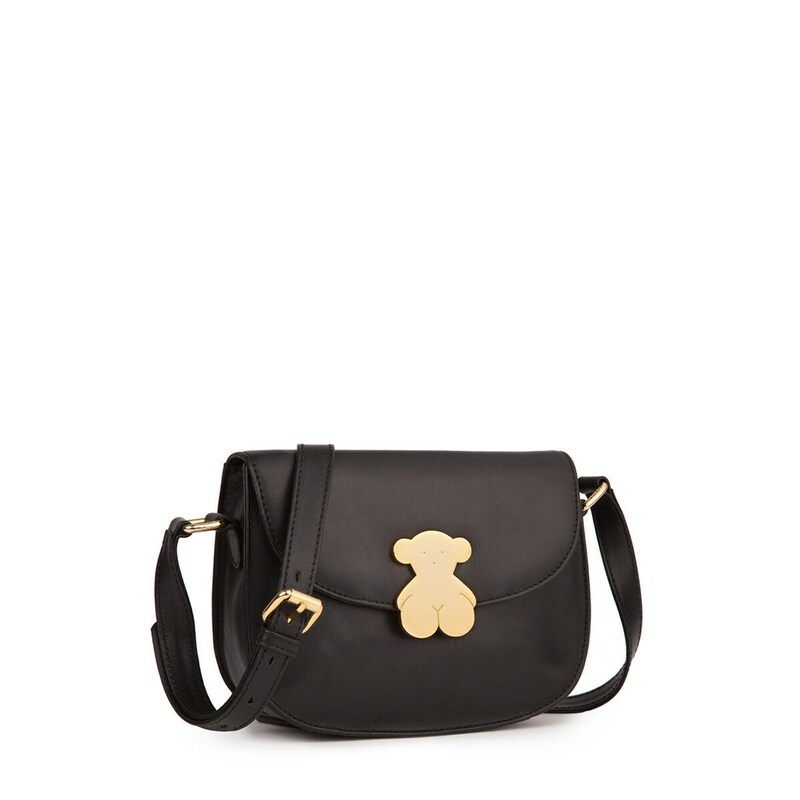 A black crossbody bag with the unmistakable signature of our bear. That’s our design – a must-have among the most personal accessories. 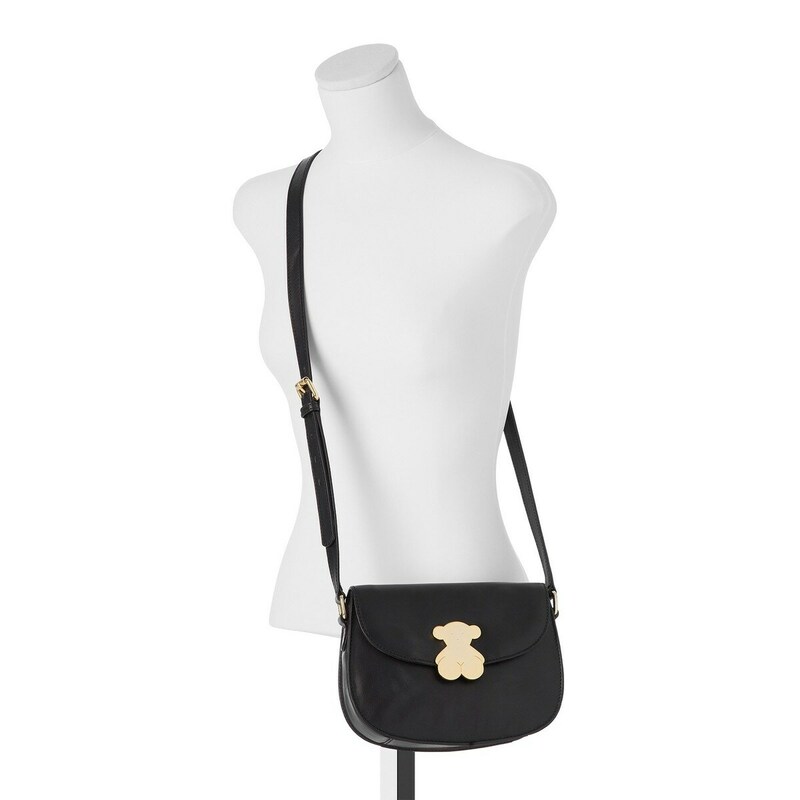 Black bovine leather TOUS Rosenda collection handbag Wendy M. model. Magnetic button closure. Two inner pockets. 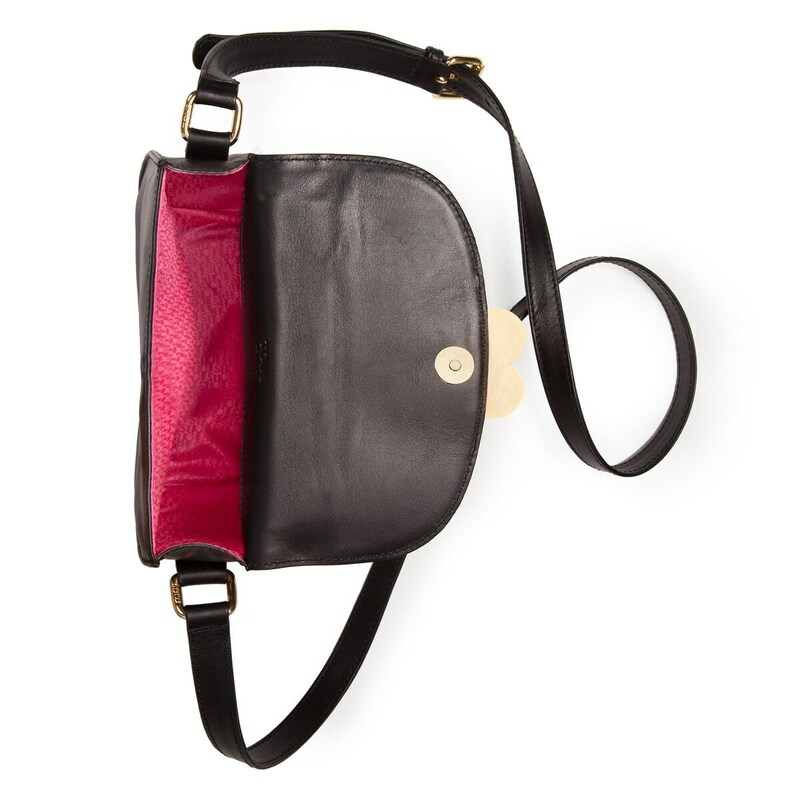 With lining and shoulder strap. Dimensions: 16.5cm. x 22.5 cm. x 7cm.